Our record breaking Christmas heatwave has encouraged flora and fauna to emerge from their winter rests. The bees are finishing off a feeder a day. Butterflies are feasting on the last of the summer flowers. Caterpillar eggs are hatching and thankfully the Passion Flower has replenished its leaves for the babies. Azaleas that are supposed to bloom in March are beginning to open. A Gardenia has also popped out. The Buff-bellied hummingbird is still hanging out in the yard, but is now also using the feeder as the flowers dwindle. The weather forecast is showing temperatures dropping down to our normal “warm” winter weather with no freezes for awhile. My post Christmas plans are to clean out some beds and plant winter annuals while the weather is nice. Here are a snapshots taken with my cell phone while working in the garden this Autumn. The Green Rose (Rosa chinensis viridiflora) is blooming. The bush was suffering, but is now having a comeback. The flowers smell like pepper. 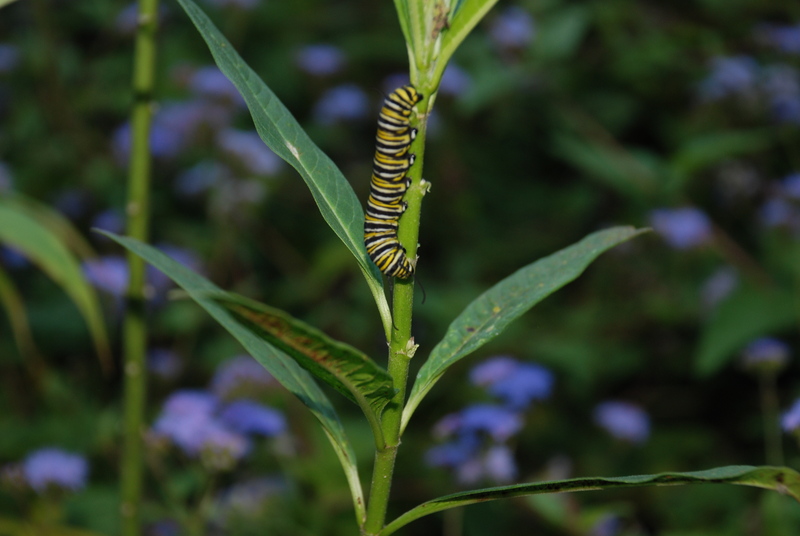 A couple of Monarch caterpillars were spotted on the Butterfly Weed and a few Monarch butterflies have been floating through the garden. 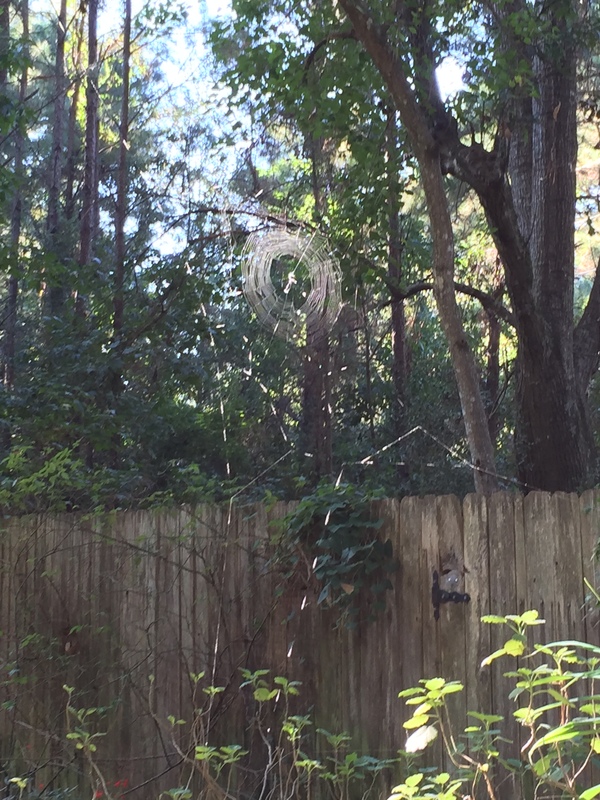 Spider webs are everywhere in the garden, making it impossible to walk around without getting tangled in one. I try to remind myself that it is just silk and hope the spider did not get in my hair. The Sweet Olive’s scent has been almost overwhelming this year. The sweet smell poured through the garden and over the house to the front yard. Big bees are everywhere. Here is one on a Confederate Rose. They are so busy that it is easy to photograph and watch them. I was finishing another chore, when I glanced down and saw all the seeds scattered from the wild ageratum. Those were only the seeds that fell outside of the bed! I guess that is why wildflowers/weeds do so well. At least this blue ageratum is pretty. It is always surprising that the tiniest flowers seem to have the most nectar. 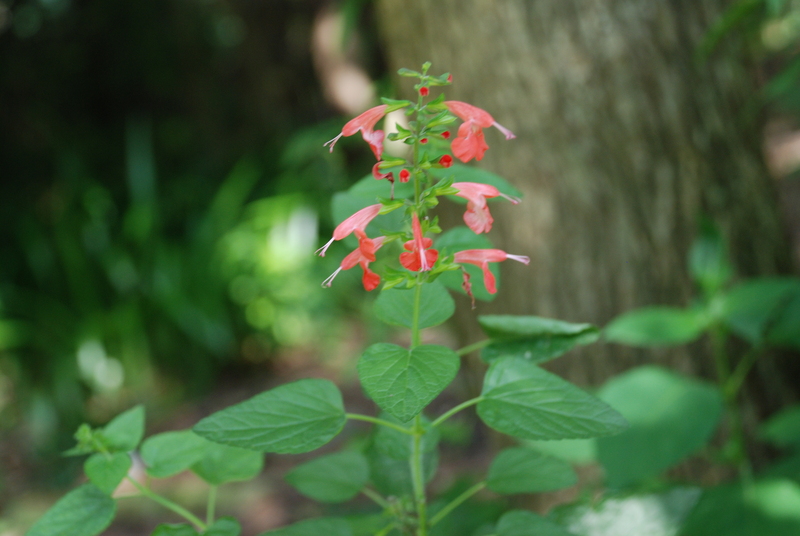 These teeny Coleus blooms are a favorite of bees and hummingbirds. 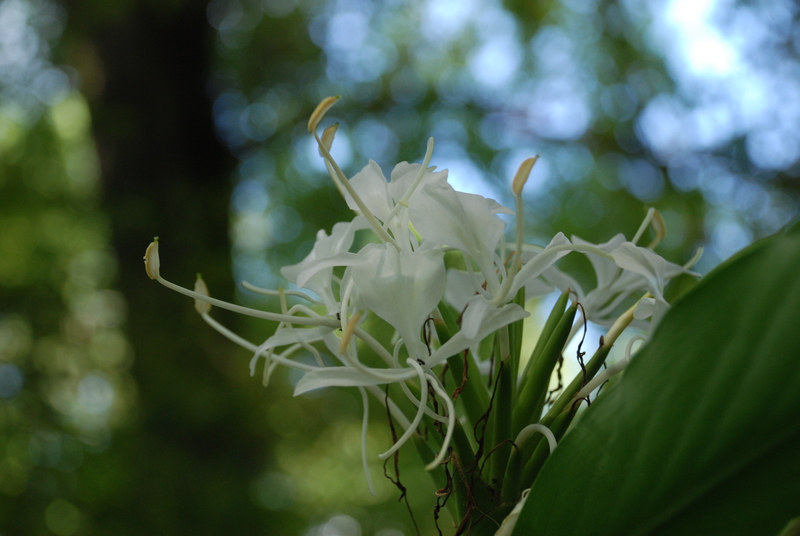 The largest of these blooms are barely an inch long. 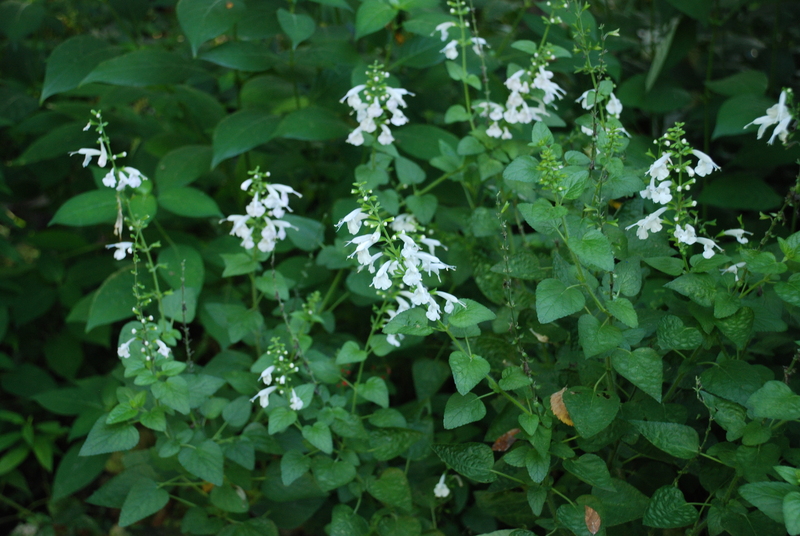 Pictured is a white Russelia, Penta, and a purple and red Salvia. The yellow flowers are Cassia Tree and Thryallis Shrub. The little orange button is Tassel Flower and on the right is a yellow and a red Butterfly Weed. 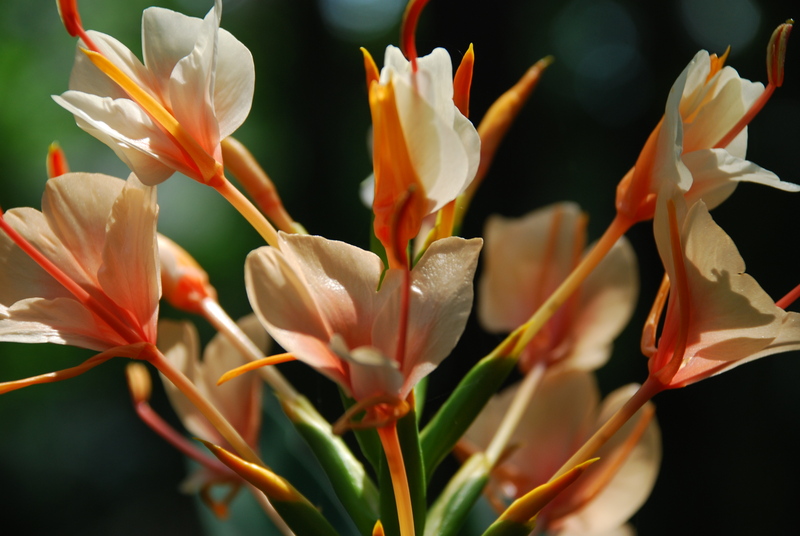 These flowers are usually full of all kinds of bees and frequently visited by hummingbirds. The flowers may be small, but they can certainly produce. Japanese Anemones love the Automatic Garden and are a perfect residents as they are hardy through heat and cold and they like to spread, making many more plants. 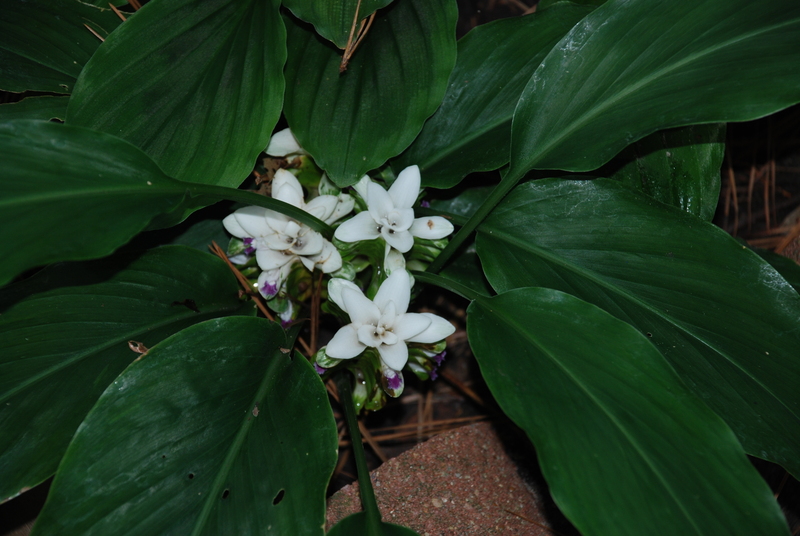 This plant was actually a passalong from a fellow gardener. Recently on blogs I follow, I have seen this plant (or similar) growing in Australia and Canada. In both parts of the world, this Anemone bloomed regularly in the Autumn just as it does on the Gulf Coast. When growing Coleus, the advice is to pinch off the blooms. 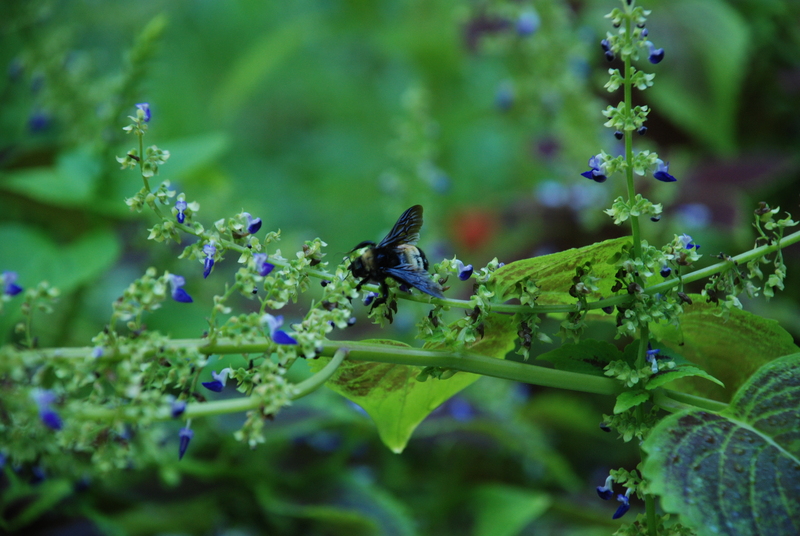 As it turns out, Coleus flowers attract bees and humming birds. Many of the seeds will also germinate for next summer. So let them grow out at the end of the season to reseed and feed. Nature’s timing is perfect in providing Autumn blooming plants in this part of the world, giving sustenance for the migrating creatures to continue on their journeys. 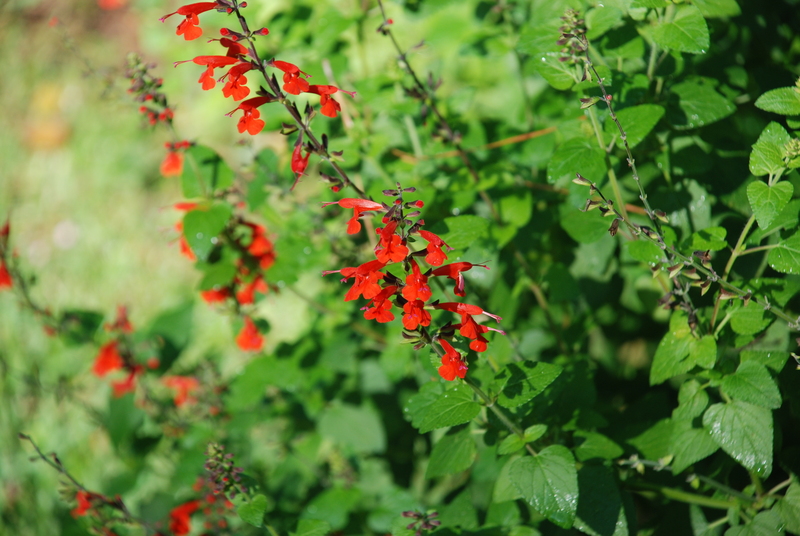 Salvias are reliable plants in the Automatic Garden. Some are hardy and most will reseed. They rest for the hot months of summer and start to rebloom when the earth begins to tilt away from the sun. The Gingers are putting out their last flowers of the season. 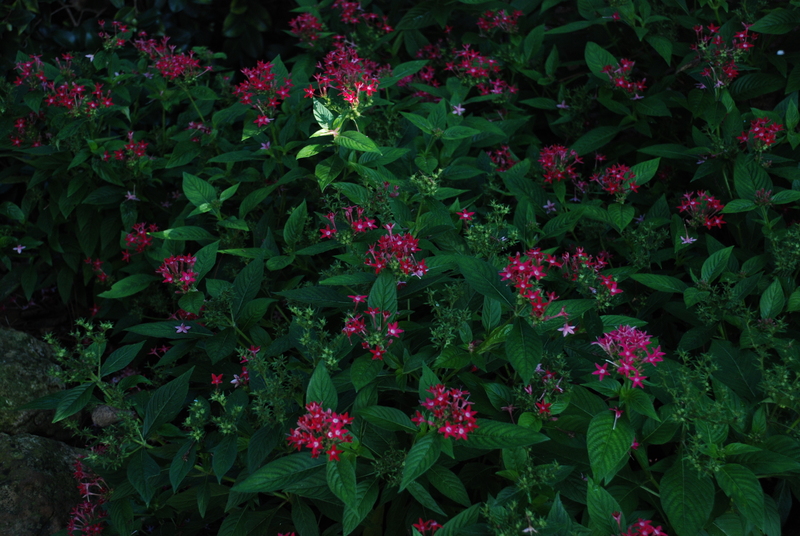 Pentas are in full bloom, providing nectar for bees,hummingbirds and butterflies, although the past several years have seen few butterflies in this area. 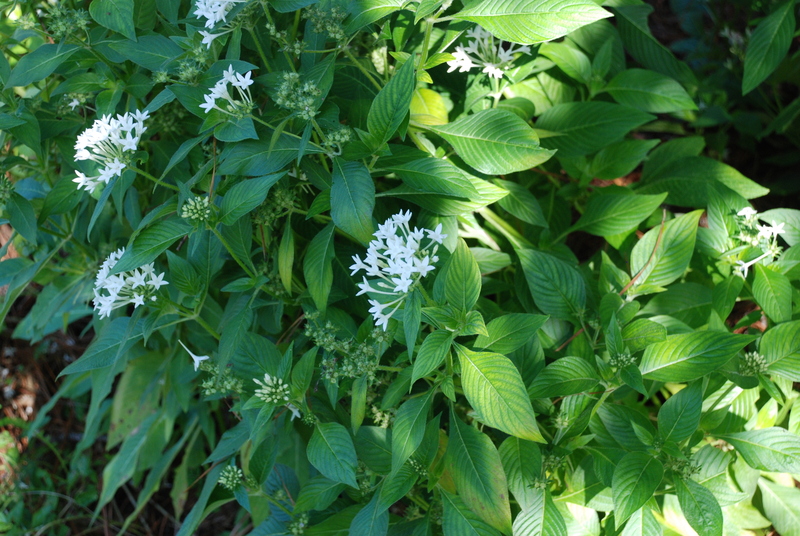 The white Pentas reseeded this year on their own. 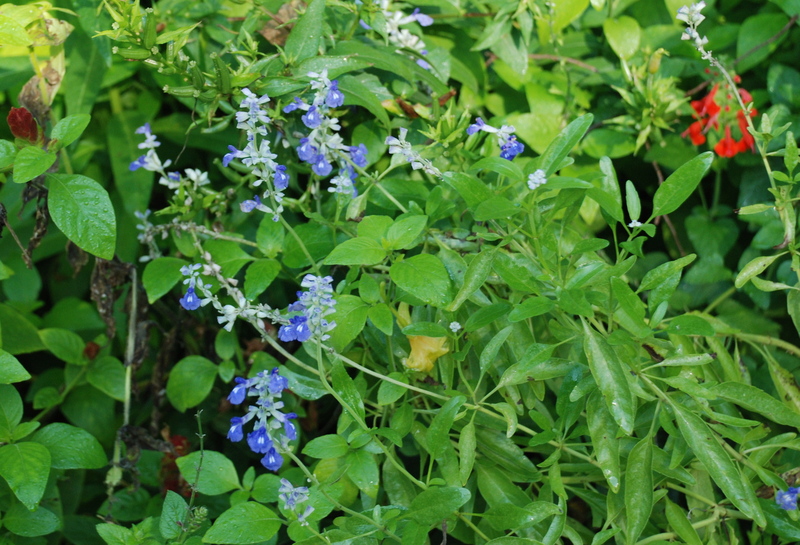 The Ageratum, Rudbeckia, and Torenia are blooming nicely. 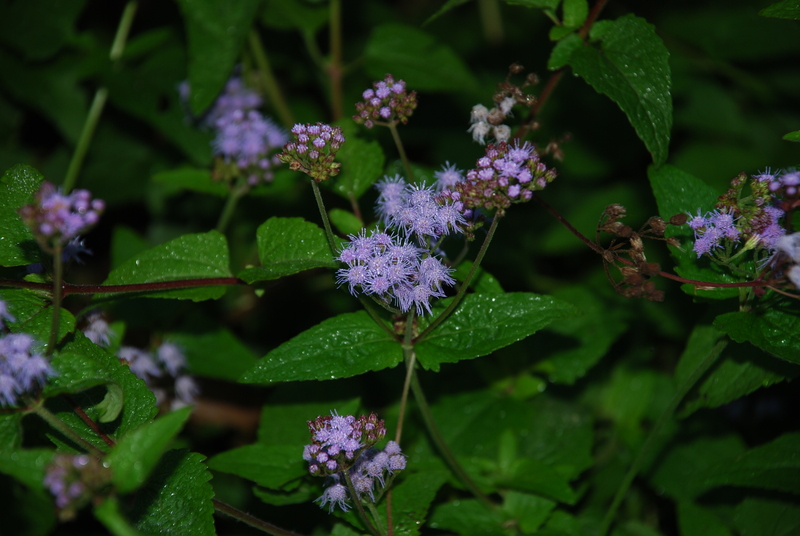 The Ageratum is wild and planted itself in the garden. 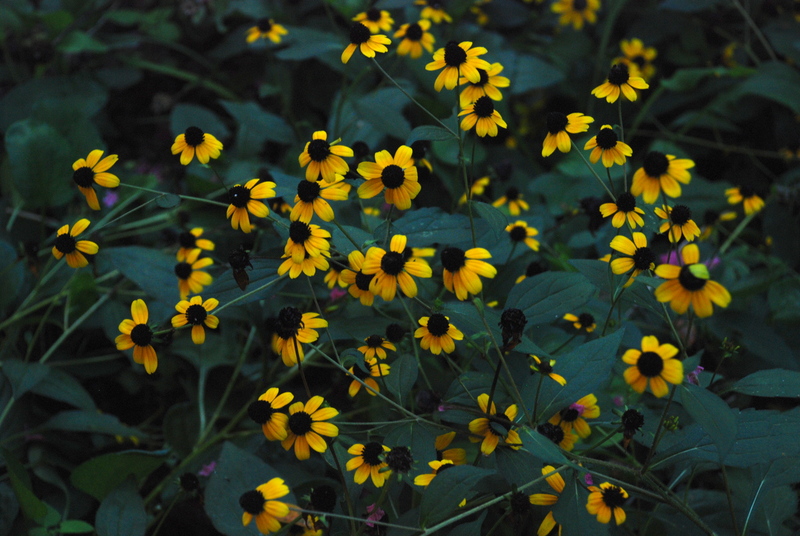 The Rudbeckia was a pass-along and willingly reseeds. 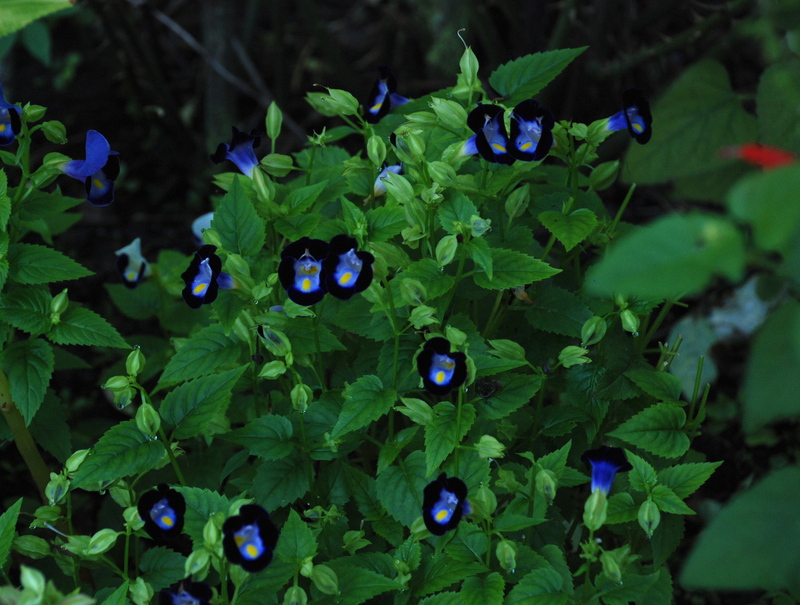 Torenia spreads its seeds all over the garden, especially in cracks and rocks. 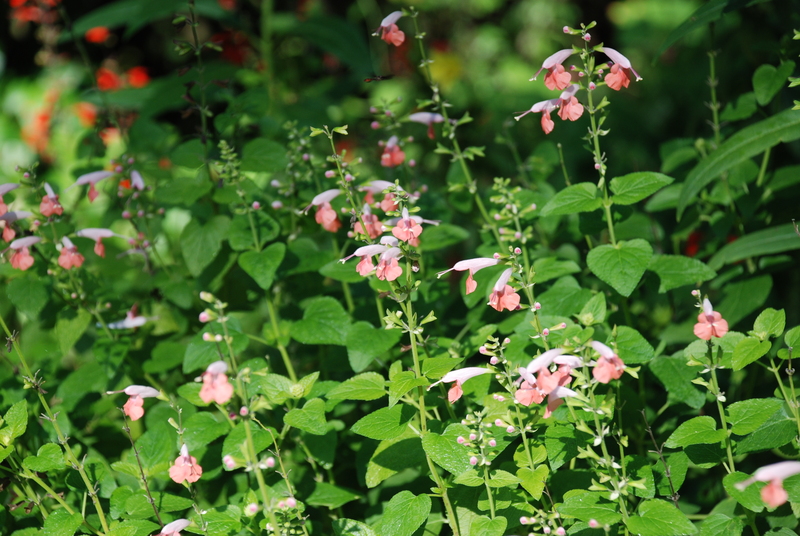 They can be bought in the nursery in the spring, but the reseeding ones will not bloom until the fall. 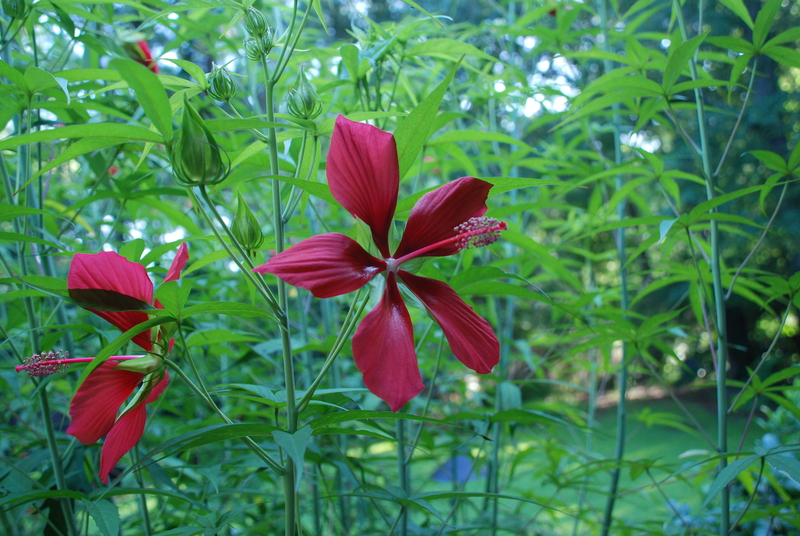 The Texas Star Hibiscus (Hibiscus coccineus) opened at first light and greeted the Summer Solstice, the longest day of the year. Hummingbirds, bees and butterflies gather its nectar. 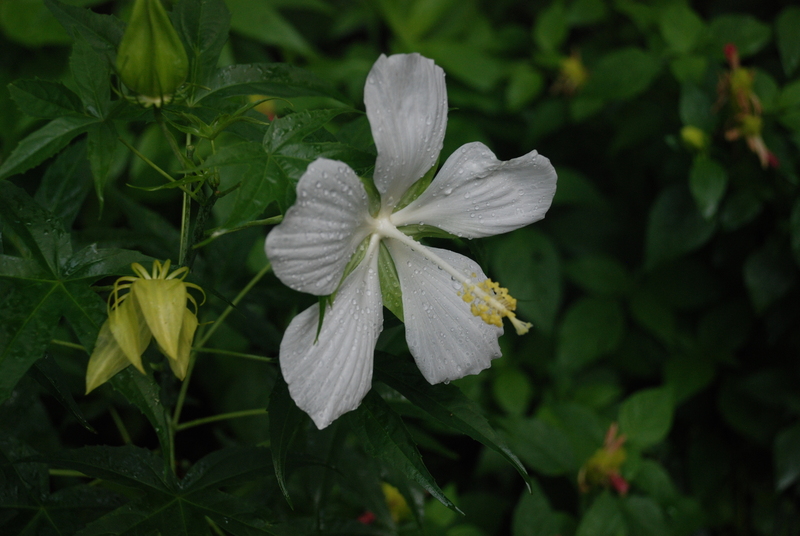 Birds pick the hibiscus’s seeds in the fall and have replanted some in the natural area behind the fence. 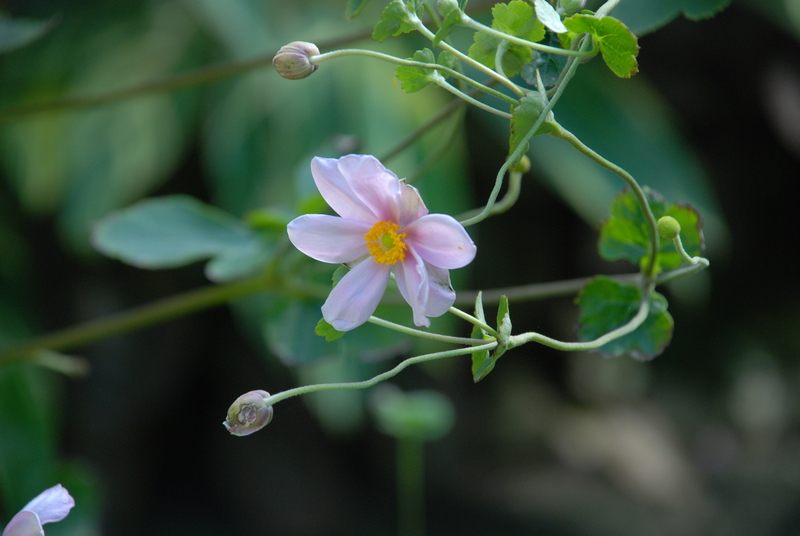 The Texas Star is a reliable bloomer and is root hardy on the Gulf Coast. 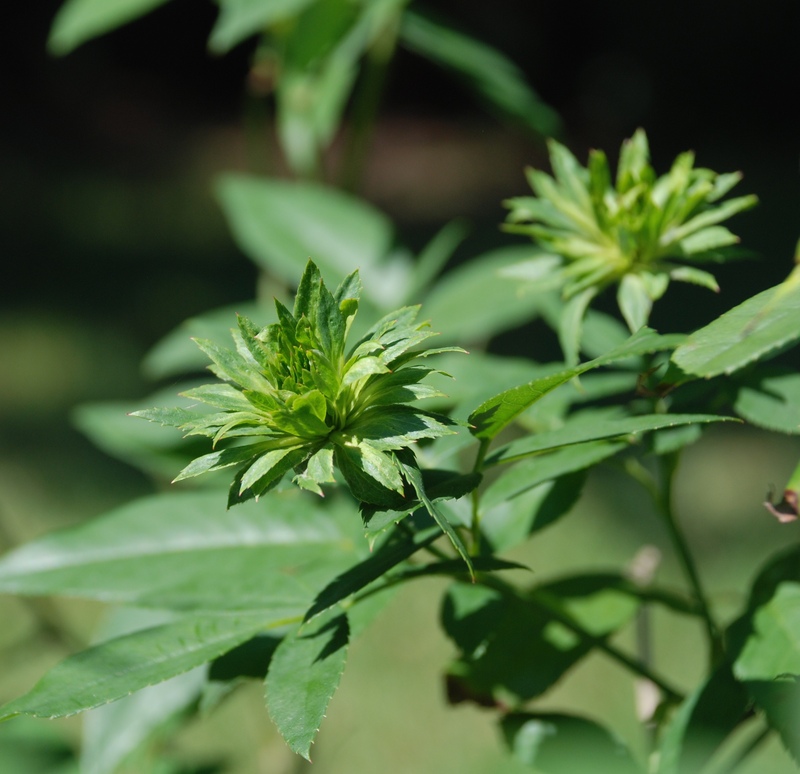 It adds more stems to the plant each year and also reseeds. 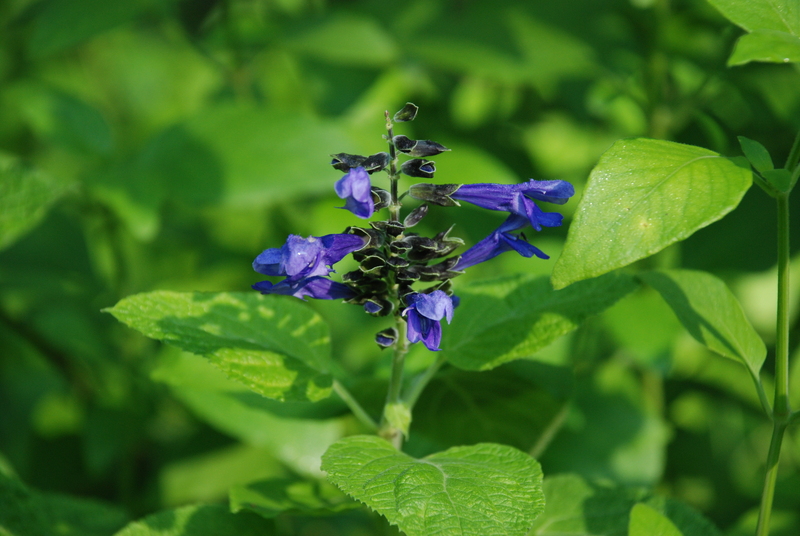 It begins to bloom during the long Midsummer days.